Chevrolet Spark EV at CCS fast charging station in San Diego. While Google's self-driving car program continues to make headlines, it's hardly the only automotive project the company is involved in. Among the items in General Motors' recently-released sustainability report is a ride-sharing pilot program to be conducted in partnership with the tech giant. 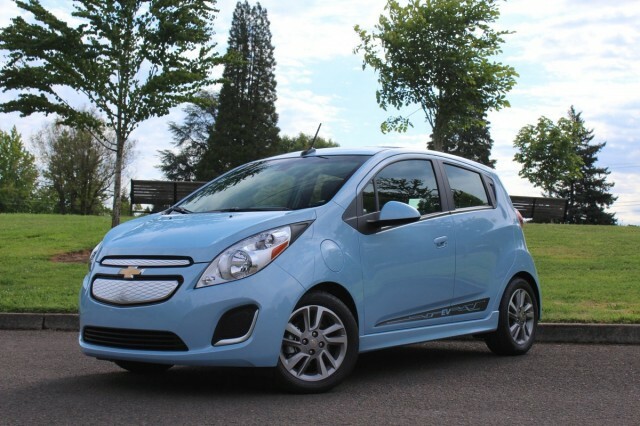 The pilot program will use Chevrolet Spark EV electric cars on Google's Mountain View, California, campus to help GM develop ride-sharing programs for businesses, college campuses, and other outlets. Ridesharing connects passengers with drivers, creating a sort of crowd-sourced taxi service. The informal nature of these services have puzzled lawmakers and insurance companies, although California has figured out a way to regulate them. GM told The Detroit News that ride sharing could help reduce congestion during peak commuting times, as well as getting more potential customers into the company's vehicles. The Detroit carmaker is also using its Warren (Michigan) Tech Center to study parking in cooperation with parking-technology company Streetline, Inc. Sensors installed in a heavily-trafficked parking deck will be used to measure demand and turnover patterns, while employees will use an app to locate free spaces. GM claims 70 percent of drivers have trouble finding a parking space once or more per day, and they waste fuel in the process. Both programs were revealed in the 104-page sustainability report, which discusses GM's progress in meeting various environmental goals. In the report--the fourth since January 2012--GM reaffirmed its commitment to putting 500,000 electrified vehicles on U.S. roads by 2017. 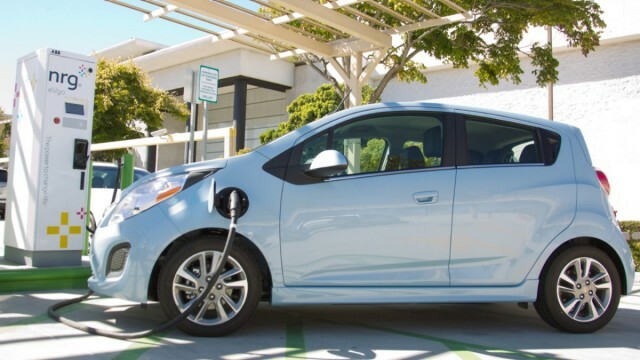 The company said it put 153,034 of these vehicles--including electric cars, plug-in hybrids, and conventional hybrids--on the road in 2013, up from 39,843 in 2011. In addition GM, hopes to have eight internal-combustion vehicles in its lineup that get 40 mpg highway or more by 2017. As it cleans up its cars, GM has also made efforts to clean up the production process. According to the report, in 2013 the company met commitments to cute total total waste and volatile organic-compound emissions by 10 percent, and to to have 25 non-manufacturing sites that don't send waste to landfills.